How do you use Amoxicillin? When shouldn´t you Use Amoxicillin? Does Amoxicillin Interact with other Medication? Where can you Buy Amoxicillin? Can I get Amoxicillin without a Prescription? 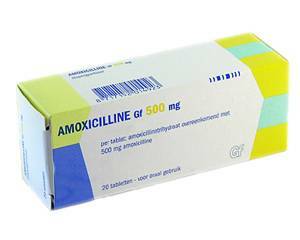 Amoxicillin is an antibiotic medicine for the treatment of bacterial infections. It is one of the most commonly prescribed antibiotics and is in the same family as penicillin. It is a broad-spectrum antibiotic, meaning it kills a wide range of bacteria. However, although similar, amoxicillin and penicillin fight different infections and each can cause slightly different side effects. Amoxicillin works to treat the ‘bad’ bacteria in your body that cause common infections such as skin diseases, strep throat, tooth infections and urine infections. It fights and stops the bad bacteria multiplying and the infection getting worse. It treats a variety of other bacterial infections too, which we list below. If you suspect you have a bacterial infection it´s a good idea to consult a doctor who will prescribe amoxicillin if necessary. Without treatment, a bacterial infection can get worse quickly and may lead to something more serious. Amoxicillin is a prescription drug and can only be obtained with a prescription from a doctor. Amoxicillin is an antibiotic used to treat bacterial infections. It works by killing existing bacteria or preventing it growing and reproducing. Amoxicillin belongs to the penicillin group of medicines. Whilst there are many different antibiotics available, Amoxicillin can treat a wide range of common bacterial infections. These include infections such as skin infections, chest infections, ear and throat infections, urinary tract infections, some STDs (sexually transmitted diseases), Lyme disease, gastrointestinal infections and respiratory infections. A benefit of Amoxicillin is that it is suitable for use in children, pregnant and breastfeeding women. Amoxicillin is not appropriate to treat viral infections such as colds and flu. It is only available with a prescription. A bacterial infection is a series of infectious bacteria that reproduce in your body and make you feel ill.
An infection occurs when bacteria enter the body and the immune system cannot fight it. A bacterial infection should not be confused with a viral infection. Antibiotics such as amoxicillin are effective against the treatment of bacteria, but not against viruses such as colds and flu. Adults, children, pregnant and breastfeeding women can take amoxicillin. These symptoms occur because the body’s immune system is trying to fight and rid the body of the infection. Even though a bacterial infection is not usually serious it can make you feel very unwell. A course of amoxicillin can successfully treat the infection and make you feel better. The active ingredient in amoxicillin travels through the bloodstream and urine to the infected tissue. It then fights the infection and attacks and destroys the ‘bad’ bacteria. This reduces the symptoms and brings relief and recovery. Most bacterial infections can be treated with antibiotics, such as amoxicillin, and will clear up after taking the full course. This is a safe and fast way to treat a bacterial infection. It is important to take the full course of antibiotics a doctor prescribes you to prevent re-infection. Take amoxicillin as directed by the doctor. Read the information leaflet that comes with the medication and take note of any contraindications, particularly if you have any existing medical conditions. Amoxicillin comes in different forms, including dispersible tablets and powder (for people who find it difficult to swallow tablets such as children) and capsules. You take it orally. You should dissolve the dispersible tablets in half a glass of water, stir the mixture and drink it immediately. If you have capsules you must swallow them whole with plenty of water and not chew them. You can mix amoxicillin for children with a flavoured drink to make it more palatable. Ensure you finish the full course of amoxicillin, even when you feel start to better. If you do not complete the course the bacteria can continue to grow and the infection could return. It is unlikely a bacterial infection will clear up on its own. A correct diagnosis and the right course of treatment, such as antibiotics, can treat a bacterial infection quickly. Obtaining an accurate diagnosis is a way to take control of your bacterial infection and set you on your way to feeling better. The usual dosages of amoxicillin are 250mg and 500mg. The doctor will advise you how frequently to take your medication. The common dose is 500mg 3 times a day for adults and children weighing more than 40 kilos. This will be lower for children weighing under 40 kilos. Try to take the doses evenly during the day, for example at regular intervals morning, afternoon and evening. If you think you will forget to take your medicine set an alarm to remind you. Amoxcillin is more effective if taken at regular intervals. You can take amoxicillin before or after meals. You should drink plenty of liquids while taking this medication. If you forget to take a dose of amoxicillin take it as soon as you remember. However, if it is almost time for the next dose leave out the dose you have missed and just take the next one at the correct time. Do not take 2 doses together if you forget one as this could be harmful. It is important to follow the full course of treatment even when you start to feel better, to clear up your bacterial infection. If you don´t complete the course of amoxicillin your symptoms may reappear and you may become ill again. If you still feel unwell after the course of treatment is complete you should make an appointment with a doctor. You may need a further course of antibiotics. For this reason, you should always obtain a new course of antibiotics for a new or different infection. Using old medication may not work as the course of treatment will not be complete. You should never use someone else’s medication, even if you are familiar with the brand name. This could be extremely dangerous for you and your health. If you feel sick or have diarrhoea while taking amoxicillin avoid rich or spicy food and drink plenty of water. Try taking your medication after you have eaten your food. Do not take anti-sickness or anti-diarrhoea tablets without consulting your doctor first. Note that some of these side effects can appear up to 2 months after completing your course of amoxicillin. Some medication can worsen existing health conditions or diseases so you must tell your doctor about any illness you have before taking amoxicillin. This includes if you have asthma or allergies or a kidney or liver disorder. If you are allergic to penicillin you should not take amoxicillin and vice versa, if you are allergic to amoxicillin you should not take penicillin. These are only a handful of examples and whilst we don´t want to cause alarm we want to inform you of the importance of treating bacterial infections with an antibiotic such as amoxicillin. You must not use amoxicillin if you are allergic to amoxicillin or other penicillin antibiotics. Some other medications may affect your use of amoxicillin so you should tell your doctor if you are taking them. This is known as an interaction. An interaction can occur when one drug affects the way another works. This is not a complete list and it is vital you tell your doctor if you are taking any other medication or have any serious illness at all which may interact with amoxicillin. Remember to also inform your doctor if you are taking any herbal medicines or vitamin supplements as these can also interact with amoxicillin. Amoxicillin can be used if you are pregnant and while breastfeeding if taken in normal doses. You should talk to your doctor if you are in either of these situations before taking amoxicillin. It does not affect your ability to drive and does not interact with alcohol. However, drinking alcohol while taking amoxicillin could increase the possibility of side effects. There is a possibility that your contraception may not be effective while you are taking amoxicillin. For the time you take amoxicillin you should continue to take your contraceptive pills but use another form of contraception as well, such as a condom. Amoxicillin can only be prescribed by a doctor. You cannot buy it over the counter in a pharmacy. If you have a bacterial infection you should treat it as soon as possible to prevent things getting worse. It is unlikely to get better on its own. A short course of the antibiotic amoxicillin should clear up a bacterial infection. No, you cannot get amoxicillin without a prescription.